If you have sustained personal injuries in Cape Coral, you may be entitled to compensation for your harms and losses. At the Wolfson Law Firm, our Cape Coral personal injury attorneys have assisted and represented injured victims in Florida since 1963 and they are here to help you too. Just call us at 239-777-9954 and allow us the opportunity to answer your questions. Seek lawyers with expertise in cases like yours. Lawyers specialize in certain fields, such as personal injury. They have profound knowledge about the personal injury laws and practice only that area of law. 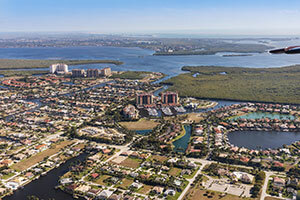 When you get injured in Cape Coral, seek a lawyer who specializes in personal injury. Avoid attorneys who practice in multiple areas. It is likely that their expertise is not as extensive as you may desire. Instead, opt for a lawyer with proficiency and skill in cases like yours. Ignore commercials and billboards. Anyone can pay for a commercial or a billboard. You can put almost anything there if you pay for it. That's why a presence in paid media is not necessarily indicative of lawyer's expertise. Inquire. Do you know anyone who has hired a top 5 Cape Coral personal injury lawyer in the past? They might provide you with a good reference if their lawyer was effective. You can ask your source anything - from how the attorney behaved with clients to expertise and pricing. Search the internet. The internet always has references for lawyers. Just google “Best Cape Coral Personal Injury Attorney” and review the results. Google was made to give you the most relevant results for your search. Its algorithm uses information from many relevant websites to assist you with the best result. Next, see the reviews of the lawyers. The best Cape Coral personal injury attorney will have impeccable reviews and highest ratings. This will give an idea of their past results with cases like yours. Schedule a meeting. When you find a lawyer that you may want to hire, don’t hesitate to call them and schedule a meeting. Is the lawyer available and willing to meet with you? That could tell you a lot right there. They should let you know about your options and what they could do for you in case you hire them. Avoid attorneys who make unreasonable promises. You may meet lawyers who promise quick money, but that's a big red flag and you should avoid them at all costs. Recovering damages from personal injury cases can take time. First, your physical and emotional recovery is likely to take considerable time. Then your lawyer will have to gather all the necessary evidence to support your compensation claim, such as medical bills and proof of lost earnings. The best Cape Coral personal injury attorney won't give you false hopes and promises. They will set clear expectations and follow through on what they tell you they will do. Ask for past results. Don't be afraid to ask them about their past results with cases such as yours. In fact, they likely place past results and verdicts on their website. If not, then feel free to ask them. Their past results should be an essential criterion when you decide on who to entrust your personal injury claim to going forward. At the Wolfson Law Firm, our Cape Coral personal injury lawyers are at your service 24/7. Call us now for your free consultation at 239-777-9954. We handle cases on a contingency basis, which means that we won't ask for fees unless we recover for you. Our Fort Myers personal injury attorneys serve the communities of Cape Coral, Fort Myers, Naples, Lehigh Acres, Estero, Bonita Springs, Sanibel and North Fort Myers.